AGBU Alexander Primary School - Blog: Debating News... Defending Champions off to a Great Start! Debating News... Defending Champions off to a Great Start! The debating season has arrived! On the 7th of May the Year 5/6 students went to the Sydney Japanese School for the debating workshop. While we were there we learnt all the key rules about debating for example roles of speakers, rebuts, repairs and thinking on the spot. On the 21st of May the debating season kicked off. Our school was the host of the first round. We were up first debating against Galstaun Collage. The topic of our debate was “Homework is necessary”. We were the negative team. The negative team consisted of Silvy as first speaker and Serly as second speaker because she filled in for Narek. Krikor was third speaker and Stella was fourth speaker. The chairperson and timekeeper of the two debates of the first round was Tzolare. The result was very close but we were slightly better and we WON!!! The debate after that was John Colet School versus the German School. The topic was for their debate was “Schools should be coeducational”. The John Colet School won that debate. Our next debate is on the 18th of June. Our opponent is the John Colet School and the host is the German International School. Our topic is “we can choose how active we need to be”. Again we are the negative team. We are confident in this topic but will have to have good research and rebuts to beat this strong opponent. Fingers crossed! 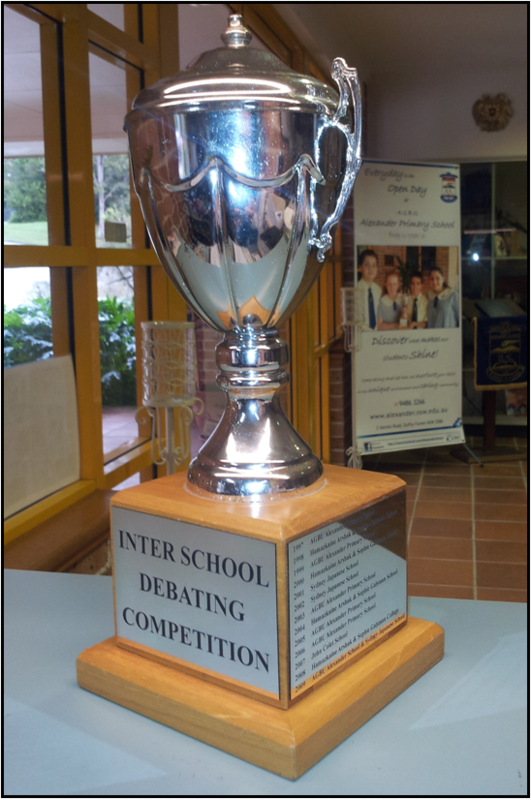 Last week (18/6/14) our school competed in the third round of the debating season. Round 2 was our bye and we went to the Sydney Japanese School to practise rebuts. The third round was held at the German School. Serly’s mother helped with transport and Mrs Holman (Student Teacher) came along to watch. First up was the German school versus the Japanese school. Their topic was “Native animals need our care”. The negative team, the Japanese school won. Next up was our school against the John Colet School. The topic was “We should choose how active we need to be”. We were the negative team. Our team consisted of Stella as first speaker, Krikor as second speaker, Silvy as third speaker and Serly as fourth speaker. We won that debate!! Two down and two to go. We have already started getting ready for the next debate with the topic “It is better to travel then arrive”. We are the negative team! !